A.J. 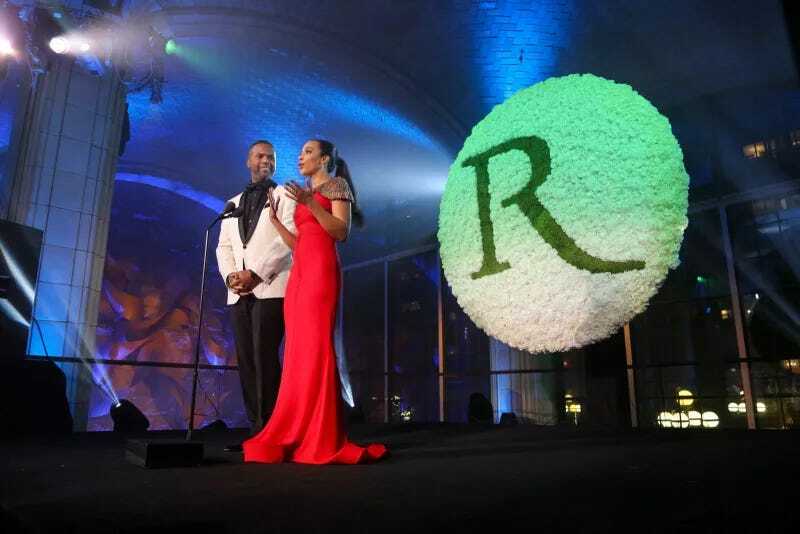 Calloway and Angela Rye, hosts of The Root 100 gala in 2017. The Root (@TheRoot)—the premier news, opinion and culture site for African-American influencers—is now accepting nominations for this year’s edition of The Root 100. Every year for the past nine years, The Root has paid tribute to black innovators, leaders and change agents with The Root 100, a list of the most influential African Americans, ages 25 to 45. It’s that time of year, again: We’re now accepting nominations for The Root 100! The Root is asking its readers to help shape the list by nominating people that represent 2018’s best and brightest in the fields of social justice, politics, entertainment, sports, media, the arts, science, technology and business. Now through June 20, The Root staff will collect nominations with the full list being released later this year. Past lists included famous celebrities like Donald Glover and Beyoncé; superstar athletes (Kevin Durant, LeBron James); well-known media commentators and columnists (Angela Rye, Ta-Nehisi Coates) as well as accomplished writers (Roxane Gay, Samantha Irby). But The Root is also looking to honor outspoken activists, like trans activist Raquel Willis, who fearlessly fight to bring relief to the marginalized in their local communities; the politicians who back up their words with action (see: Stockton, Calif. Mayor Michael Tubbs); the savvy entrepreneur (Detroit’s Nailah Ellis-Brown) who is out there creating jobs rather than looking for one, as well as any other unsung heroes.